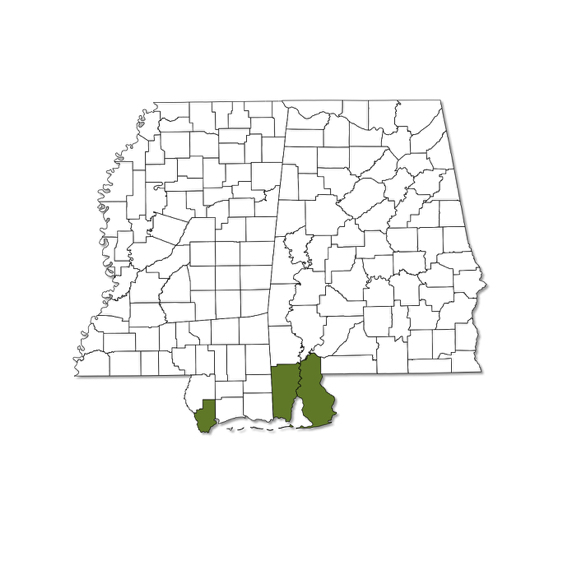 An uncommon species in Alabama and Mississippi and probably restricted to the coastal counties of both. Mostly white above with some orange and brown markings near the margins of both wings. 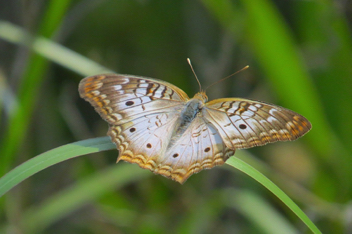 Three dark postmedian spots on lower surface of wings.